How can i get job in Railways after Mechanical engineering? How can i apply for government jobs? Problem regarding Filling of SAIL Application form ? Re: Will it cause any problem if I submit my VRO application form online without my signature on the photograph? will it cause any problem if i submit my vra application form with wrong pincode number? Will it cause any problem if I submit my VRO&vra application form online with wrong pincode? from the examination. so please contect on helpline +91 9246572520 if you have done any mistake while submitting application form. how to edit or any problem?please tell me..
- Today on 29.12.2011 the on-line application form submission date will be over. - Candidates were instructed to fill all the details correctly and have to upload their photo and scanned signature. - Yes Dear, it will be dangerous for you if you have not uploaded your scanned photograph and signature durrind on-line form submission. - In exam hall, with out photograph and signature on Admit card who can the examiners knows your identity and who can they identify with out these? yes dear it will create a problem if you uploaded your photo without signature. May be, you will be disqualified or, your form will not be submitted can be rejected. Because at the examination time you will do your sign on paper so, how they will check your identity.
! Sign should be in black ink and sign with photo should not be greater than 50 kb. 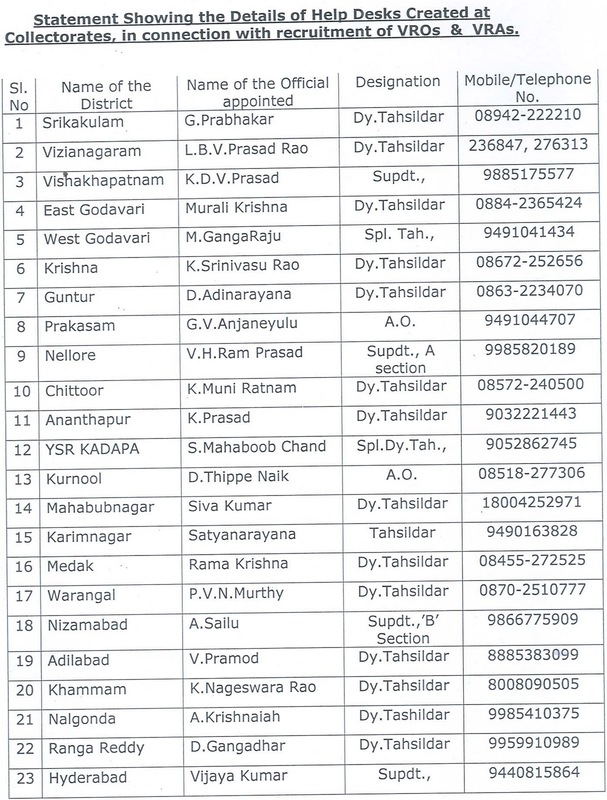 Contact to help-desk member immediately at your district and solve your query. I submit my VRO application form online without my signature on the photograph? As per the instruction for filling online application form you should have to submit the application form with scanned passpost size photograph with your signature. The candidates who have submitted application form without photograph or signature may be disqualified from the examination. so please contect on helpline +91 9246572520 if you have done any mistake while submitting application form. -- Without scanned photo and signature VRO application form is not accepted. -- Photo and Signature are the basic identities that make you different from other candidates. -- So it will be not possible to recieve hall ticket of written exam without photo and sign on application form. -- All the VRO aspirants hereby advised that in future if you fill any form then you should fill all the entries mandatorly. -- Without filling all entries mainly like photo, sign, name, d.o.b., catagory, the form will not be accepted.